So, here are the Nails of the Week. 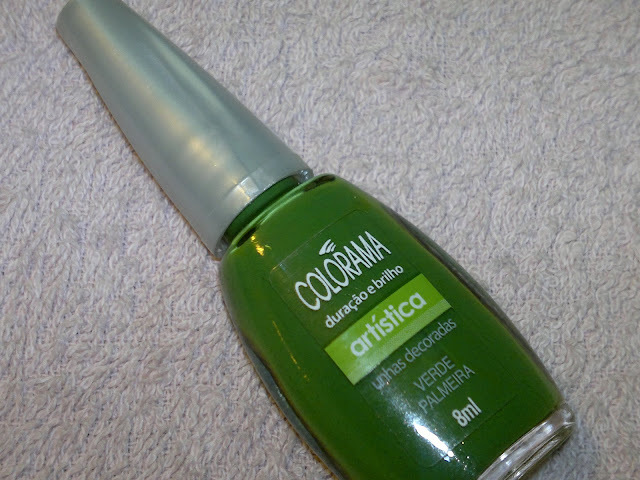 This week it's Maybelline Colorma in Verde Palmeria. The brush is pretty sleek and deposits the nail paint evenly on my nails, not very streaky and not very smooth either. 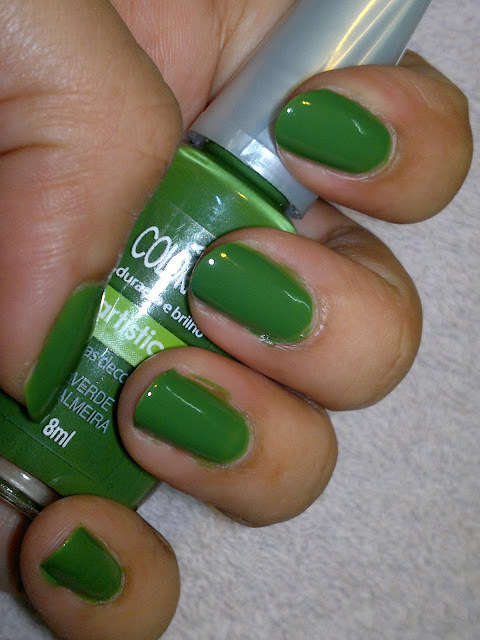 The nail paint is a gorgeous green color, perfect for the summers as it cools down my temperament instantly. The cap is pretty tacky though the brush is okayish and helps in even application of nail paint on my nails. 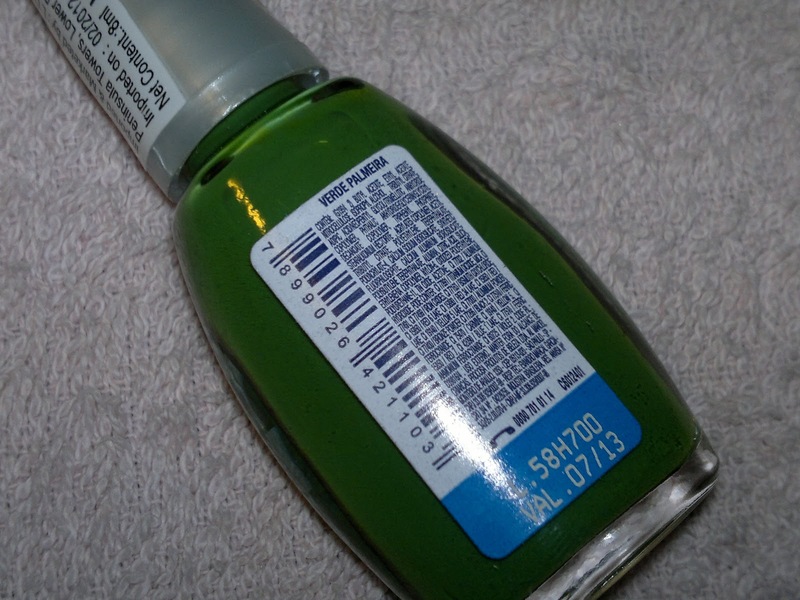 This is one of my first Maybelline nail paints, so can't comment on the quality of earlier brushes or nail paints. The nail paint is fluid enough to spread easily on my nails, though it may thicken with time. 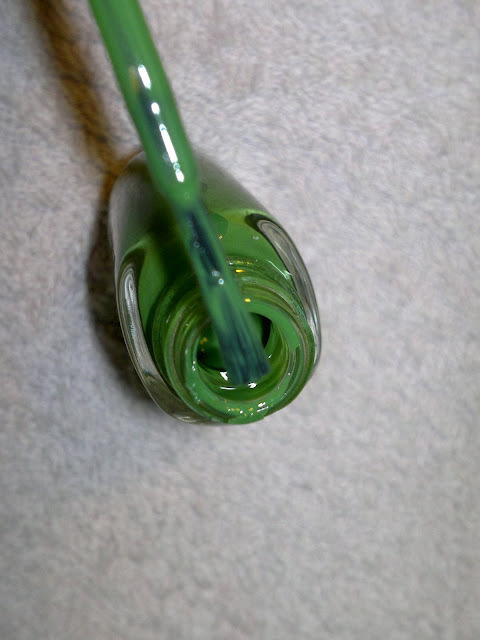 Also, it is one of those colors that give a kind of glow to your hands while you are wearing them. The lasting power is okayish, just two days after which it loses its shine and starts chipping. Drying time is ok, with the total application time being 5 minutes for two coats of nail paint. Product rating: A, available at all Maybelline counters and e-shopping websites. Would definitely be buying more shades of these and in fact have got two more Coral Chic and a lavender shade (forgot the name). Would recommend these to girls looking for some fun colours. Do tell in the comments section below, what do you think about my nail art? And which is your favorite image plate? 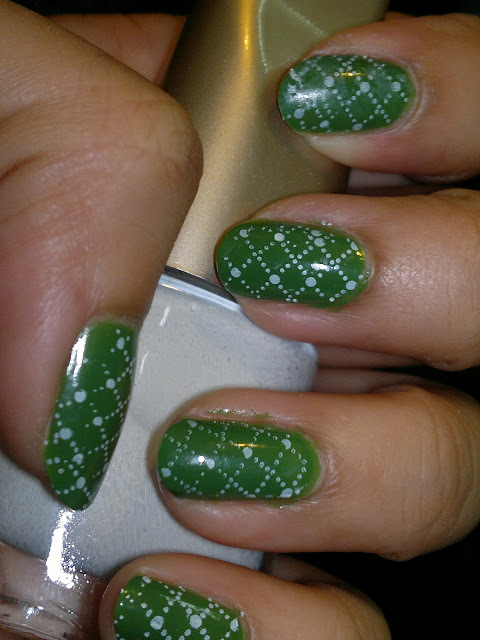 awesome is the word..your nails are looking gorgeous with the nail art and i also liked the finish of the green nail paint above (w/o nail art)..
i am a rookie in the image plate business so all the image plates seem beautiful to me..i have m57 and m65..and also the one in the starter kit that i won in the giveaway..